In today’s interview, we talked about entrepreneurs that prefer to retain more control and either avoid or delay the perpetual VC fundraising cycle. We also talked about startups that are not fundable in the eyes of traditional VC… maybe because it’s in the wrong sector, has the wrong founding team or the product just isn’t remarkable enough. There are many reasons why VCs pass on startups. Most do not want to invest in a business that requires significant changes. In many previous episodes we have discussed pivots. Charlie O’Donnell said that he would not invest in a company that he believed required a pivot. Charles Hudson said that he is completely comfortable with pivots and significant product changes assuming the team is addressing a problem in an attractive market. I think we can all agree that pivots aren’t ideal. But, what about the startups that are a pivot away from great success? In the pre-seed and seed stages, many of the best opportunities are hidden from view. Sometimes they are overlooked b/c of an obvious flaw. The real challenge for many early-stage investors is knowing which flaws are correctable and which are fatal. Personally, if a founder is building the wrong product, I pass. If the team is incapable of realizing their mission, I pass. If the startup is entering in a terrible market, I pass. But there is one area that sends most investors running, yet I hunt for actively. Last year we invested in a company called Cybrary. We co-led the seed round for this startup w/ Justin Label of Inner Loop Capital and chatted about our decision in an episode of Why I Invested. 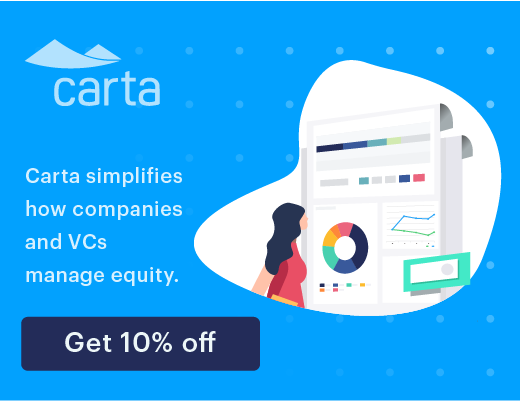 And Cybrary has gone on to raise a subsequent, institutional seed round, at a healthy markup, from high-quality VCs, including lead investor Ryan Kruizenga and the team at Arthur Ventures. Quick shout out to Ryan Corey and Ralph Sita… keep up the good work guys. But the reason I bring Cybrary up today is not for what they did right early on, but rather what they did wrong. Cybrary had built the online network for Cyber Security professionals to communicate and learn. They had grown their user base faster than any startup I had ever encountered. The engagement of their user base was remarkable… At the time we invested, I believe the average time a user spent per visit exceeded 30 minutes. And, they had revenue to boot. While many online networks discourage monetization during the growth hacking phase, the founders had figured out a way to accelerate user growth and revenue, in parallel. But, one-by-one the large investors fled. I made introductions and they did not yield investment. So, out of curiosity, I picked up the phone and asked each VC for their reason for passing. And the answer I received was universal: “The site looks like it was built in the ’90s. It’s ugly, hard-to-use, cluttered and does not reflect a production quality product.” And the reality was, they were right. The site was not pretty. It was not designed for the eyes of the regular consumer. Yet, despite this fact, Cybrary was not just excelling, they were thriving. It was at this point that I realized that some products have such tremendous value that poor design does not inhibit success. But there are so many developers and designers in the investment community, that a lack of a polished front-end site is very off-putting. Many investors see bad design as a major weakness. But therein I saw an opportunity. If the users were growing so fast and had such high engagement with the current design, imagine the potential with great design. Look, there’s a good reason to say no to every startup. But the best investors find opportunity, where others don’t see it. They find a reason to say yes. So what’s the best kind of pivot? Is it product, market, or business model? From my standpoint, it’s the design pivot… where businesses are thriving in spite of their selves. Some call them ugly ducklings, others black swans. I just think of them as great opportunities.